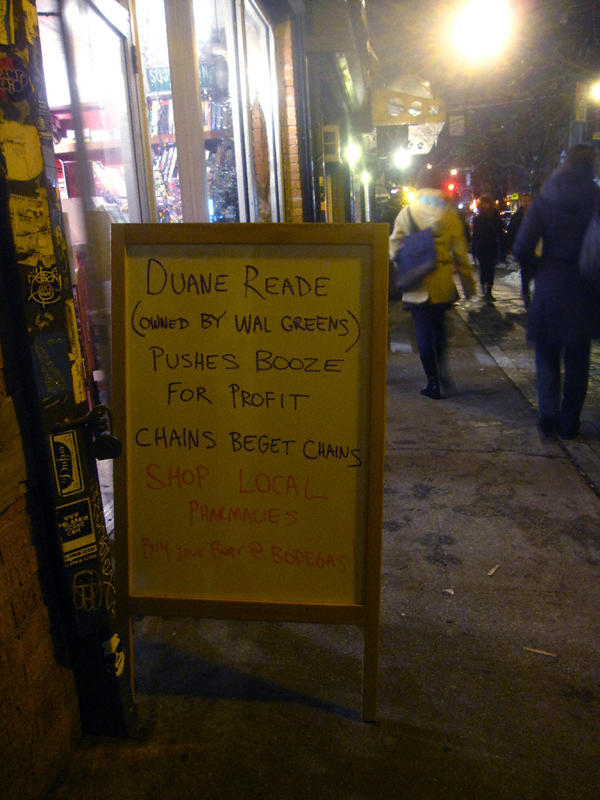 Apparently the reason that Duane Reade is selling beer within their store is because their marketing survey showed that there is a lack of locations that do said activity in the area. Figure that one out if you can. I laughed.